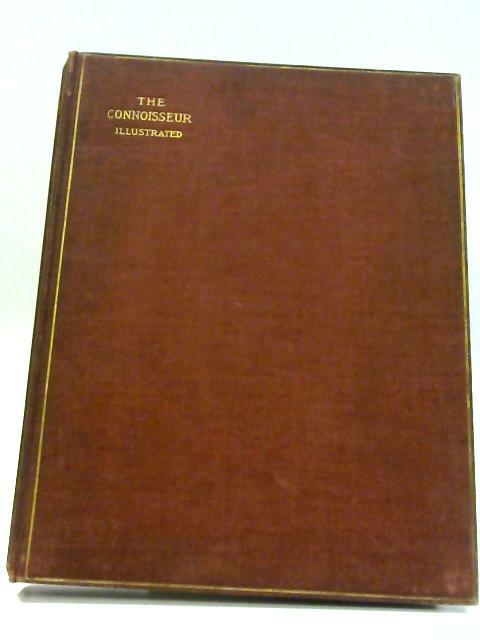 The Connoisseur. Volume XII (May-August,1905). by Baily, J. T. Herbert (edit). 1905. 274 pages. No dust jacket. Mauve boards with gilt edges and gilt lettering to spine. B&W and colour plates. Some internal hinge cracking. Neat clean pages with light tanning and foxing to endpapers and page edges. Photographs are clean and neat. Scraps, small bumps and dog ears to text pages edges. Uneven text pages. Softening to spine with light bleaching to spine, boards and edges. Light water marks to spine, boards and edges. A few marks, wear and bumps to spine ends, boards and edges. Sticker to rear board. The Connoisseur. Volume XII (May-August,1905). Baily, J. T. Herbert (edit).